When not marking up other people's items, Travis Scott has been known to draw from what he knows best when it comes to his merchandise. 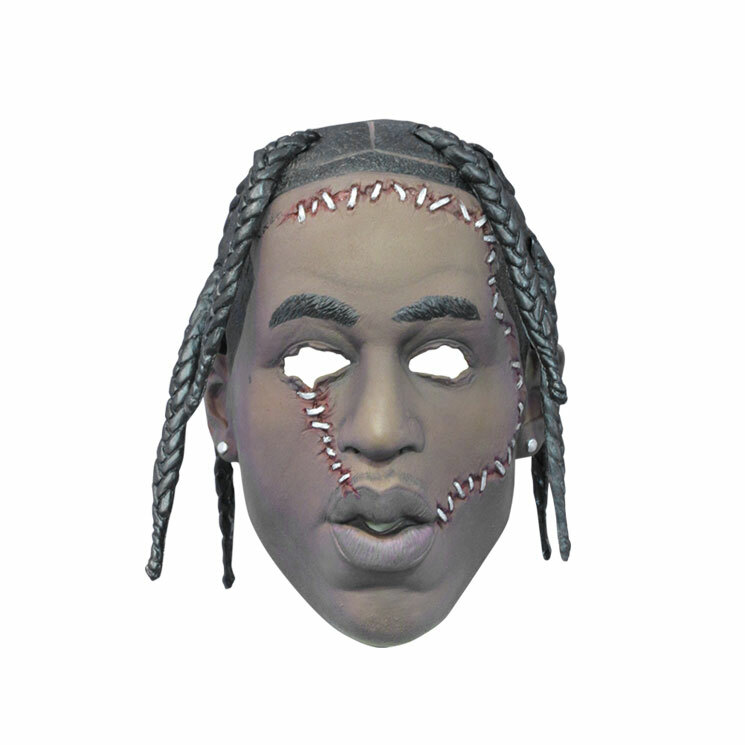 It's no different come the Halloween season, with the rapper hawking masks of his own face for the occasion. The silicone likeness of a stitched-up Scott will run you $40 USD and is part of a larger collection of merch items inspired by The Texas Chainsaw Massacre. The collection, which also includes shirts, hoodies and a hat, will only available for 24 hours. You can find further details on the collection here. Scott has recently appeared on songs with Metro Boomin and Miguel, and is set to be taken to court by a fan who was left paralyzed after a concert at Terminal 5 in New York City.